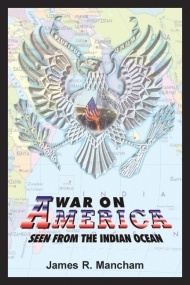 War on America; Seen from the Indian Ocean. —Arnaud de Borchgrave, Past President and Editor at Large, UPI and Washington Times, author of the bestseller The Spike. —Andrian Skerrett - Author, businessman and conservationist. On September 11, 2001, the United States of America was surprised by a deadly terrorist attack fueled by hatred for the United States that Americans could not understand. Why anyone would want to attack a peace-loving democracy not interested in war? This book is written to help Americans understand how people in other parts of the world are impacted by a United States’ foreign policy that often seems arbitrary, self-serving, and inconsistent with the ideals of democracy. The author is past president of the Seychelles, neighbor to Diego Garcia from which many of the airstrikes against the Taliban in Afghanistan were launched. His comments are informative and constructive for anyone interested in creating a better and more coherent US foreign policy that will lead to a more peaceful world and prevent a recurrence of terrorist attacks on America. Sir James Richard Marie Mancham is the founding President of the Republic of Seychelles—a tiny island nation and one of the most beautiful countries in the world. The Seychelles became a “strategic US territory” in the early sixties. He extended hospitality when the US Air Force decided that it would be in the US national interest to build a satellite tracking station atop of Seychelles’ main Island of Mahé in the middle of the Indian Ocean to gather military intelligence over a then aggressive Soviet Union. He was not prepared for what followed. This book is an account of US foreign policy seen from the Indian Ocean from the 1960s to the present.